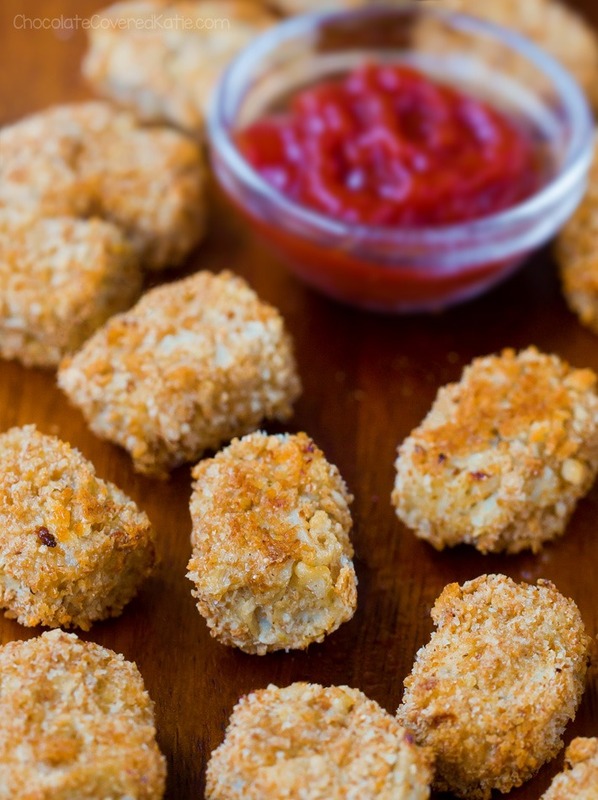 Soft, crispy, and completely addictive cauliflower tater tots! 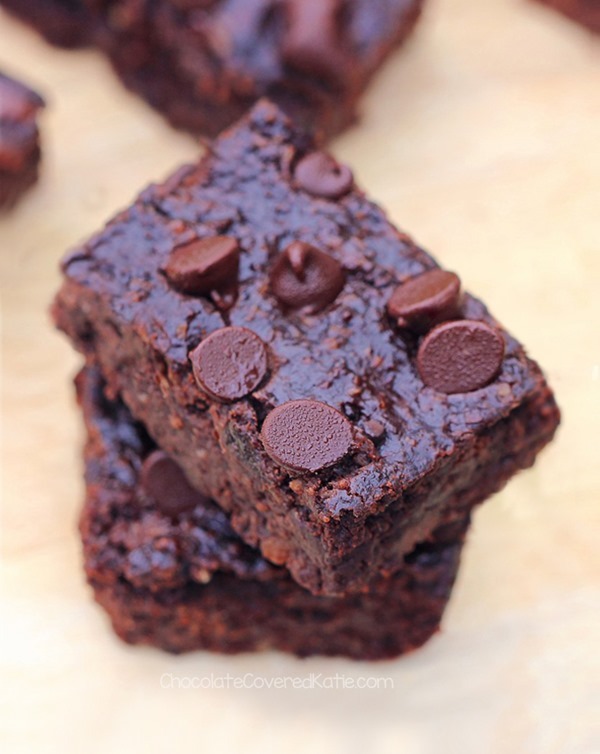 They are super easy to make, with just FIVE ingredients! Seriously, why are you not already in your kitchen making these? I was shocked the first time I tried them. Even though I’d just seen every single ingredient that went in, I still couldn’t believe they were made from cauliflower instead of potatoes… They tasted way too much like real tater tots – it was crazy! You might want to bookmark this one for Super Bowl Sunday. Are they just as good as restaurant tater tots? I would say yes – in a different way. Sometimes what you’re craving is greasy, fried, not-healthy-in-the-slightest comfort food, and those occasions call for real tater tots. But there are other times where you still want comfort food, just not the tired, full, and weighed-down feelings that can come with it. These cauliflower tots are perfect for those times, and they’re also definitely just as good as the Ore Ida frozen variety. Tater tots and I go way back. They were one of my favorite weekend lunches in middle school: Microwave a bag of frozen tater tots, serve with ketchup, and call it lunch. Then in high school, I’d often walk to Sonic after class, for a milkshake and large order of crispy tater tots. More recently, I discovered a bar near my new apartment that serves ridiculously good tater tots… I’m not going to tell you how many times I’ve already ordered them in just three weeks of living here. I could honestly take or leave french fries, but tater tots have always been a different story. And yes, I realize they are technically not tater tots if there’s no tater. But if you’ve ever tried my Sticky Sesame Cauliflower or this lightened-up Cauliflower Mac And Cheese, you know cauliflower has the extraordinary ability to act as a substitute for multiple ingredients, including pasta, heavy cream, and potatoes. 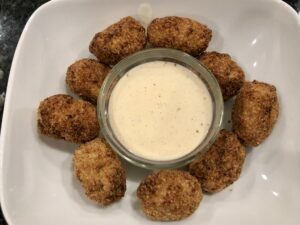 Just like with real tater tots, there are no eggs required to make these crispy baked cauliflower tots, and the recipe can be both gluten free and keto friendly. If you’re a fan of those trendy cauliflower gnocchi from Trader Joes, hopefully you will really love these cauliflower tater tots too. Line a baking sheet with parchment, and set aside. If using flaxmeal, whisk it with 1/4 cup water and refrigerate at least 30 minutes. Chop cauliflower into small florets, then steam until fall-apart soft. Drain fully. Stir flour with the oregano, garlic, and salt (and baking powder, if using). Preheat oven to 425 F. Once cauliflower cools, place it in a clean dish towel or cheesecloth over a sink or bowl, and squeeze out as much moisture as you can. You want it super dry. 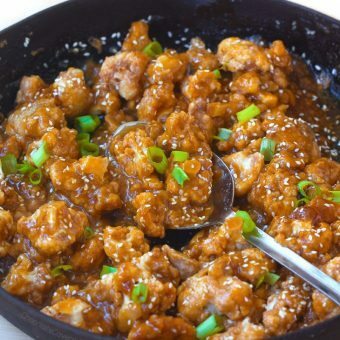 Place squeezed-out cauliflower into a bowl, and mash with a fork. Add all remaining ingredients except the breadcrumbs. Only if using the baking powder option, also add 3 tbsp water. Mash very well. If using breadcrumbs, crush or process them until fine. 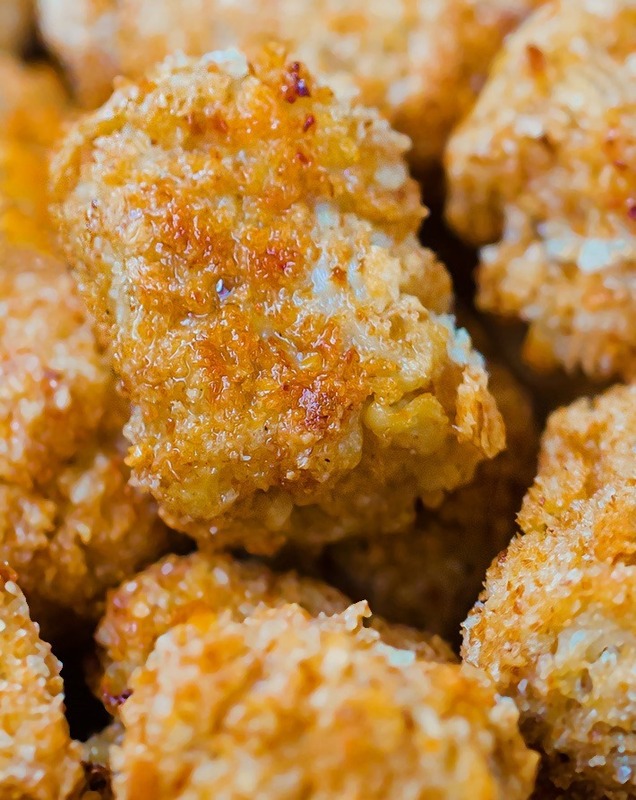 Form tater tots with your hands, and roll in the crushed breadcrumbs or almond flour. Bake 25 minutes, or until lightly browned and crispy. 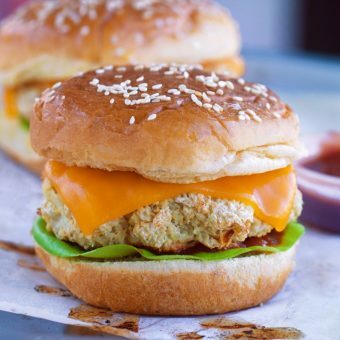 Cauliflower Burgers – Just 6 Ingredients! This is such a cool idea! I love how versatile cauliflower is. I’m going to have to try these sometime! I haven’t tried it yet on this, but almond flour is commonly used as a sub for breadcrumbs in coating recipes, especially for those following the keto diet. I’ve coated vegetables with it to make vegetable fries and it works well there. Do you think frozen cauliflower would also work (thawed and drained)? Tater tots are my favorite too! As is your blog. Your rescipes are set to show up first on my Facebook timeline. Just made coffee cake in a mug last week! Thanks for always inspiring me!!! Love this idea!! 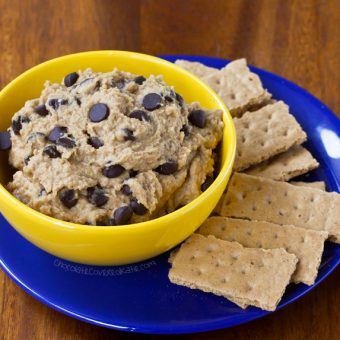 How about adding some nutritional yeast for a cheesy flavor and I’m always trying to find a way to incorporate more into my diet? Kids will LOVE these!! If purchasing the pre-riced cauliflower and not the florets, how much in cups should I use? Thanks! Unfortunately we haven’t tried it with cauliflower rice, but be sure to report back with results if you experiment! Can these be frozen before baking? I’m always looking for ready cook sides that can be prepared in advance for those nights I have no time or energy! Hmm, not sure, but you can definitely bake them and freeze leftovers! So I don’t see why not. If you try, be sure to report back! I love this idea. They look super yummy. I think my kids will like them as well. WOW! I would’ve never thought of using cauliflower in a tater tots recipe, that’s pretty genius though! I can’t wait to make this, thank you! I just made these. They are absolutely DEElicious but not as pretty as yours. How long did you steam them? Thanks! Tater tots are not my favorite snack in the world, but I do remember watching Napoleon Dynamite and just hearing them talk about tater tots over and over again. I figured that I’d try them the next day at school. Low and behold, I love them! 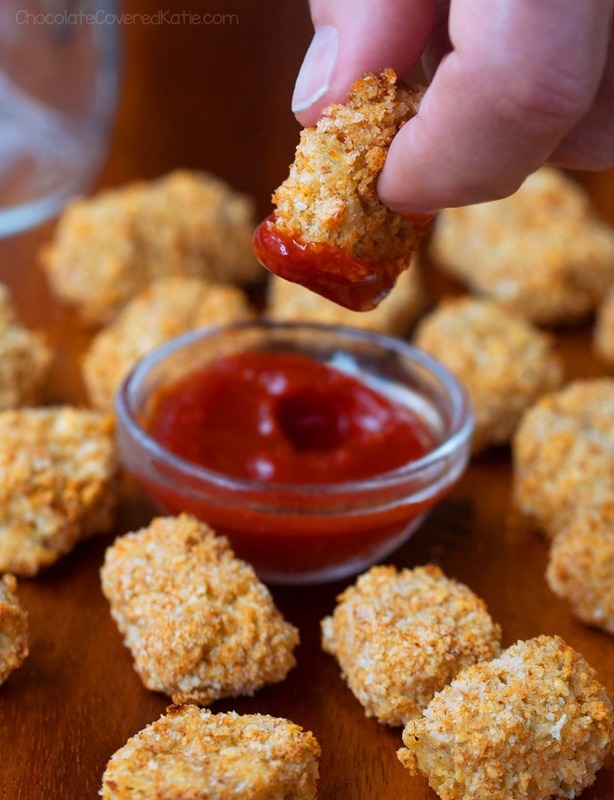 Now I want to try recreating tater tots, but healthier–these look freaking FAB! I must admit, as a former chef (actually, I like to say “once a chef, always a chef”), switching to a healthy eating lifestyle was very difficult. I love food and all food. But, once you reach 40, it makes it harder to stay in shape. Especially when you love sweets like I do. 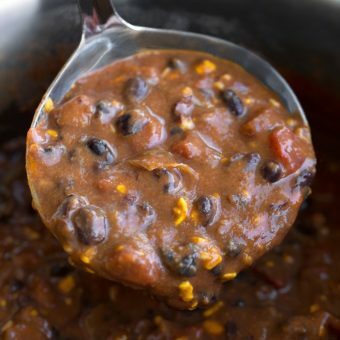 I’ve loved surfing through your site and your recipes have inspired me to develop my own, as well as indulge in some of yours. I know you specialize in sweet treats but your savory dishes are incredible, as well. 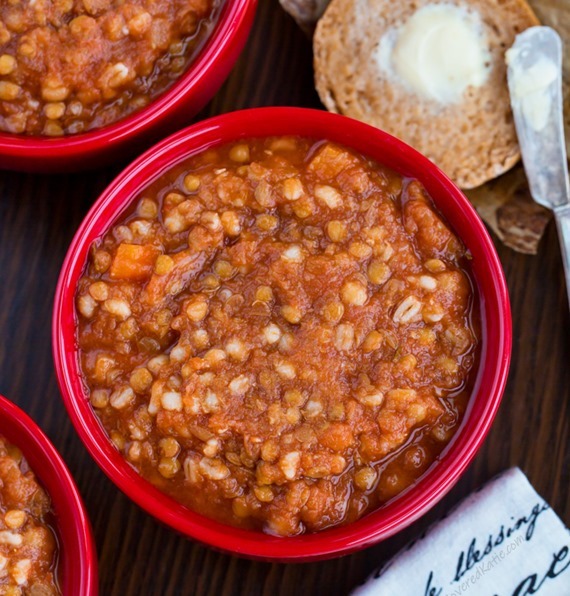 Well thought out, flavorful, and of course, healthy! I made these tonight using whole wheat flour and baking powder. I have an air fryer so I spritzed them with avocado oil and air fried them for about 12″ at 400. We dipped them in homemade ranch dressing. High hubby and I loved them. I did pulse the cauliflower in the food processor rather than mash it as it was already out to crush the bread crumbs. Thanks for a great recipe! Thanks. Lol. I reheated the leftovers in the airfryer. Still tasty.